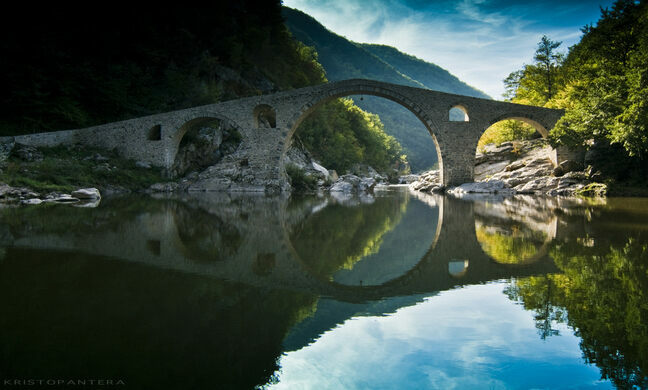 Constructed between 1515 and 1518 in the early 16th century by a builder Dimitar from the nearby village of Nedelino, Dyavolski most, the Devil’s Bridge or also known in Turkish as “Sheytan Kyupriya”, is the most stunning of the humpbacked bridges that cross the Arda River in Bulgaria. It was built over a demolished Roman bridge and cuts from the steep slopes of the Rhodope Moutains along an ancient road linking the Aegean Sea and the Northern Thracian Valley (Gornotrakiiskata Nizina). The bridge is located near the town of Ardino, which even has a water fountain shaped like the bridge. 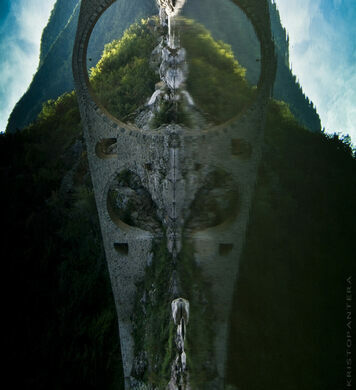 It’s one of several “devil’s bridges” found around Europe. Its span is 185 feet long, 11.5 feet wide, and at its gravity-defying central arch stands 37.7 feet high. Interior semi-circular arches were built in to monitor the water level. The reason some locals are hesitant to cross at night is rooted in dark lore. One story is that the head builder’s wife passed away during construction, so her shadow was encased in the structure. Another tale has it that the devil’s footprint can be found somewhere on the rocks. While this is all folkloric myth, its towering form does make for a somewhat unsettling vista in the darkness. The bridge was declared a cultural monument in 1984. It was also the spot for filming several scenes from the 1988 Bulgarian movie “Time of Violence” (“Vreme Razdelno”).